Powerful tool which you can use to remove malware from any PC utilizing only your web browser without having to install anti-virus software. This tool will help you to remove almost any antivirus software previously installed on your system. ESET SysInspector scans your operating system and captures details such as running processes, registry content, startup items and network connections. 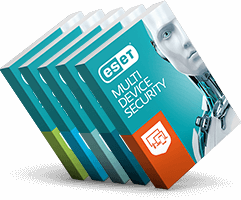 ESET SysInspector is a convenient utility for the toolbox of every IT expert and first responder. Linux distribution that can scan for malware and clean infected files. It runs from a CD/DVD or a USB device, independently of the host operating system, but has direct access to the disk and file system. This makes it possible to remove threats that under normal operating conditions might be impossible to delete. ESET Log Collector is an application that automatically collects information and logs from your computer in order to help us resolve issues more quickly. A complementary tool that serves to sign XML configuration files from ESET security products. Free decryption tool for Crysis ransomware victims. For additional information on how to use the tool, please refer to ESET Support. Stand-alone tools to remove particularly resilient threats, including rogue antivirus programs, antispyware programs and other malware.